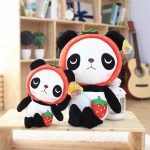 Lonely in Shanghai? Or looking for your perfect match in Tokyo? Here are the 5 best dating apps in Asia. Long before dating apps made their way into Asia, matchmakers and arranged marriages between families were seen as popular modes of courtship. Whilst these methods and other dating rituals are still practiced today in some Asian countries, its digital counterpart is making way for a more simple and fun way to meet your perfect match (that doesn’t involve your mum!). Today the Asian dating culture can be described as a melting pot between both traditional and modern day values. Dating norms are often a lot more conservative to that of Western and European cultures and the cultural stigma against online dating services is the reason why western made apps such as ‘Tinder’ have spent a fortune ($200 million) on specifically researching the Asian dating market in countries such as India and Indonesia in order to help them develop strategies that would suit the more conservative dating norms. This might be the reason why countries such as Japan, China and Korea prefer home-grown dating apps that focus on using discreet features to match individuals such as, hobbies and interests instead of physical features and distance. Understanding the dating norms in Asia can be quite overwhelming so luckily there are plenty of great dating apps to help take the guesswork out of that initial stage of finding someone who is looking for a partner too. So if you’re struggling to find love in a crowded Asian city, or you’re just sick and tired of listening to some balding ‘pick-up artist’ tell you about the art of ‘negging’ (‘undermining a women’s confidence by making snide backhanded remarks’ – I know.. its an actual ‘thing’), then you might just want to save some time and check out one of the 5 best dating apps in Asia. Tan Tan is China’s home-grown, number one dating app that has taken the market by storm and is in many ways its own variation of Tinder using the same swipe right or left features and distance and mutual likes to match individuals. 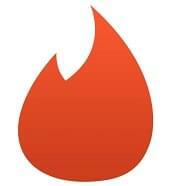 If you have ever used Tinder before, then you will have no problems using TanTan. The app was launched three years ago and claims to have 60 million validated users, of which 6 million are said to be active everyday. TanTan is also said to have an impressive 6:4 male/female ratio thanks to it’s female focused marketing efforts – these guys know what they’re doing! The app even allows you to choose between English and Chinese, so it is great for those travelling to China who need to brush up on their Mandarin or Cantonese. TanTan has some really fun features such as the ‘question game’, that allows you to ask several questions to get the conversation started. The app allows you to chat with text, vice and send pictures and videos. It also now shows you how many times you and your match have passed by each other – now that’s a conversation starter right there! You can also show someone how you really feel by giving them a ‘Super Like’, this can increase your chance of matching by 5 times! Ordinary users receive one Super Like per day, while VIP members get an extra 5. The TanTan VIP Membership also offers a few more perks such as 5 Super likes per day, unlimited rewinds in case you’re swiping way too fast, location change and unlimited likes. Signing up for TanTan is free, along with some basic features such as swiping left or right to indicate your interest, chat, text, the questions game & one ‘Super Like’ per day. However, signing up for the VIP Membership badge definitely gets you more – such as 5 Super Likes per day, unlimited rewinds, location change and unlimited likes. 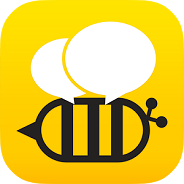 BeeTalk is another leading home grown app from Taiwan that has been particularly popular in South East Asia. Shortly after its launch in 2013, it became the most downloaded dating app in Thailand according to Apple’s app store. Being based in Thailand gives BeeTalk the advantage to respond quickly to the ever-changing wants and needs of the online dating market. Since its launch, BeeTalk has focused on expanding into Singapore, Malaysia Vietnam and Indonesia where it has also had great success. BeeTalk offers basic functions such as texts, voice messages and unlimited free online calls through the app and uses the same swipe features such as Tinder & TanTan to indicate like or dislike. But where Beetalk really differentiates its self from competitors is through its unique messaging option called ‘Whisper’. Whisper messaging is a concept quite similar to ‘Snap chat’ in that it makes your messages disappear seconds after they have been read. Whisper allows you to send texts, stickers, pictures, voice messages and sketches and drawings using the Doodle feature. Needless to say, this can make for quite an interesting conversation! Some of the other features that make this app interesting are the communities you can join through features such as ‘Club’ and ‘Forum’ – these are places where you can discuss similar interests and hot topics! It is an easy to use app that allows individuals to interact comfortably with each other. BeeTalk is free to download and offers users free messages and calls & exclusive stickers free of charge! Now you can’t be too surprised to see this one the list. Tinder is undoubtedly one of the most popular online dating apps in the world with 20 million matches to date, so you can’t be too surprised to find out that is one of the most popular dating sites in South East Asia. Whilst losing a lot of its market to regional start-ups in parts of Asia such as Japan, China and Korea, it is dominating competitors in Singapore, Hong Kong and the Philippines. Tinder may have had a hard time cracking into the Indian and Indonesian dating market at first due to the negative cultural connotations with online dating, but it has since become one of the most used dating apps in the region after investing US $200 million to attract more users and break down cultural stigma towards online dating apps. Tinder’s signature feature of swiping right to like someone and swiping left to pass, is one of the most commonly adopted among competitors. This makes it quick and easy to decide on whether or not you like someone based on his or her profile, which normally just displays a profile picture, name & age. Tinder uses distance as its main filter to show you other users near by and allows you to sign in using your Facebook or personal phone number. If you and the person you like both like each other then it is a match and you are able to instigate a conversation. These are all the basic features of the app, however, Tinder also offers more features on its Tinder Plus and Gold Treatment upgrades. Tinder Plus gives you unlimited likes, passport to chat with singles all around the world, rewind if you want to give someone a second chance, 1 free boost a month to be the top profile in your area for 30 minutes and more Super Likes to stand out from competition. The Gold treatment offers all this and more with profile controls, a ‘Likes You’ feature that lets you see who has liked your profile – this might save you some energy! A basic Tinder account is free, however if you would like to access the extra features mentioned in Tinder Plus and Gold Treatment, then you might be looking at paying a bit extra per month. 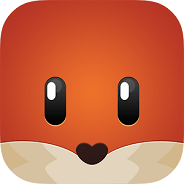 Prices vary depending on which country you are in but as a rough estimate the current Tinder Plus subscription in the US starts at $9.99 USD per month, and $14.99 USD per month for the Gold subscription. Paktor is one of the leading apps in Southeast Asia and has been dubbed as the ‘Tinder’ alternative in the region. Since its launch in 2013, the company has had an astonishing 15 million users and 5 billion swipes, making it one of the most downloaded and used apps in the region. Co-founder Joseph Phua and his team at Paktor focused on using their own local knowledge of the Asian culture & dating norms to carefully position features that would appeal to their customer base in Asia such as filters like job, education and height. 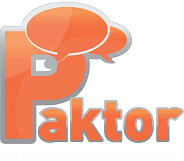 One of the most successful features of Paktor is the group chat feature, which allows users to talk in a community, rather than have one-on-one interactions, which is believed to be a more of a friendly approach for users and identifies with the company slogan of ‘An easy way to make friends’. In addition to this, Paktor offers easy to use features that allow you to swipe on a persons profile card to indicate interest (swipe right to like, swipe left to dislike) resembling the easy to use look and function of its Western counterpart Tinder. Paktor also offers a premium subscription package which gets you access to features such as filters like job, education and height, viewing people who have liked you, viewing suggested profiles, receiving daily Paktor points to send gifts (champagne, French wine, rose etc.) and direct messages, unlimited replies to any direct request messages from compatible people. The feature that sets Paktor a part from most other dating apps is the ‘Wink’ feature – Wink is a free feature only available on the female side. When a female user activates the ‘Wink’ function it indicates that they would like to chat with more males, Paktor then alerts a selected number of males by initiating a conversation. Paktor presents profiles in a simple, minimalistic manner, which makes it easy to understand. Tapping on someone’s profile photo allows you to browse through the photos available. The Paktor app is completely free to download and initial sign up does not cost anything. You can swipe, like and chat with your mutual matches for free. However, if you would like access to the premium features mentioned above, then there a few options to choose from. Paktor offers 1 month, 3 months, 6 months and 12 months subscription packages for you to choose from. 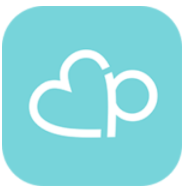 Paris is a relatively new online dating app to hit the Japanese market. It is also a home-grown app that has great success for good reasons. If you have ever been to Japan you will notice that there are a lot of solo diners – I wasn’t surprised to find out that 70% of unmarried men, and 60% of unmarried women aged between 18-34 admitted to not being in relationship – creating just the right market for online dating apps. Don’t be, because the app goes to great lengths to keep this private. The app was created with long-term relationships in mind, so by getting rid of fake profiles, users will have more of a chance of having a real date that could lead to more serious things. One of the great things about being a female using Paris, is that is completely free to use! Male members can also create a profile for free but they must pay a monthly fee if they decide to send likes and messages. Paris has extremely detailed filters that let you narrow down your search by using location, age, nationality, body-type, height, education, income & language. It also allows users to join a number of communities, and makes things interesting by disclosing to other group members how many likes you have. As mentioned above, Paris is completely free for female users, however male users need to pay a monthly fee if they intend to do more than just browse though photos. So there you have it folks – these are the best 5 dating apps now trending across Asia (in no particular order). I hope you have found this as insightful as I have. Good-bye and good luck! Amy Orlando was born and raised in Milwaukee, Wisconsin, USA. She went to collage in the West Coast where she majored in both Psychology and Sociology. Since then, Amy has worked in LA for a top Marketing firm where she is constantly analyzing human behavior. A self-confessed ‘people watcher’, Amy has had a keen interest in dating and relationships. The world of dating is ever changing and Amy & her team are committed to helping you keep up with the latest trends. Previous Article← Are dating sites kind of “supermarkets with people”?